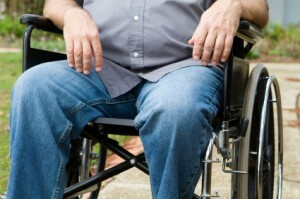 Spinal injuries can leave you emotionally and physically scarred for life. Because the spinal system is central to the rest of your body, if you have damaged the spine in any way you could be faced with permanent disability, paralysis or chronic pain. Spinal injuries often occur after a heavy blow to the spine or due to a serious fall. Spinal injuries can also occur over time due to repetitive stress on a certain area. It is important that you understand your legal rights when it comes to recovering from a spinal injury. Regardless of whether the incident happened over the course of ten years due to pressure from your career or it happened suddenly due to a car crash, there is a chance that you could be eligible for compensation for your suffering. 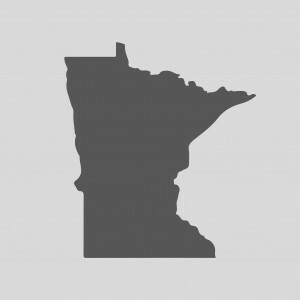 Contact our team of experienced Minnesota personal injury lawyers today at (612) 465-0320. Emotional suffering – it takes a lot of courage to get back on your feet and continue when you have faced a serious injury such as a spinal injury. A loss of quality of life – there are some things that those that suffer from a spinal injury will never be able to enjoy again. You may be unable to walk, run or throw the ball around with your kids again. This is not something that should go unnoticed. Medical costs – not only do you have to think about the costs of an ambulance, medication and hospital fees but there will most likely be additional medical related expenses for many months to come including rehabilitation, medical equipment and devices and specialist appointments. Loss of income – if you are suffering from a serious spinal injury you may be unable to work for a certain period of time, or never at all. What will this do to your income? And what about your pension, retirement benefits and more? Who do you turn to during this difficult time? How will you afford the medical equipment you need on top of the weekly bills and fees? How will you be able to provide for your family if you are unable to work? If you have been paralyzed or require a wheelchair, who will take care of you during the day? These questions can be hard to tackle. It takes strength and understanding to begin to move forward and to consider how life will be with a serious spinal injury. Our mission is to protect the rights of those that have been injured and to ensure a financially comfortable journey towards recovery. Whether you have been paralyzed or not, get the help you need to move forward without financial fear. Our attorneys are available anytime you need us. Contact us today at (612) 465-0320.